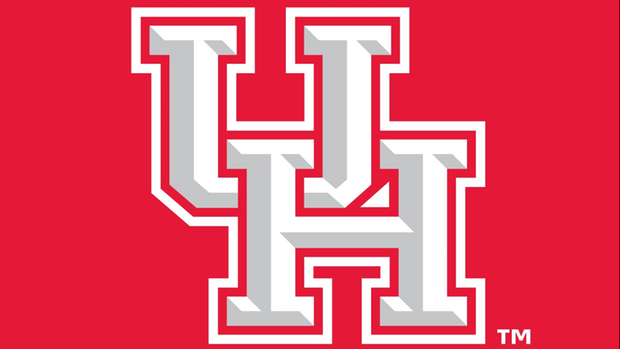 The University of Houston will one again host the Carl Lewis Invitational. 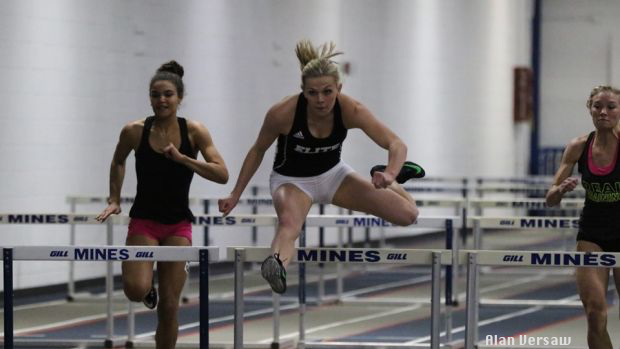 Guarantee to be one of the hottest meets of the indoor season nationally, you won't want to miss the outstanding athletes that will be performing this weekend. The straighaway at the U of H is deemed the fastest in the world. Fast times seem to drop out of the sky at this meet. Having fast athletes perform there always helps and this year is no different. Alexis brown and Rachel Hall both had good performances last week and they will look to capitalize on them this weekend. Out of state competitors will come from Florida in the forms of Zakharia Frett and Dymond West. The boys 60m will have some legit sprinters in the field and we should see several sub 7.00 times posted. 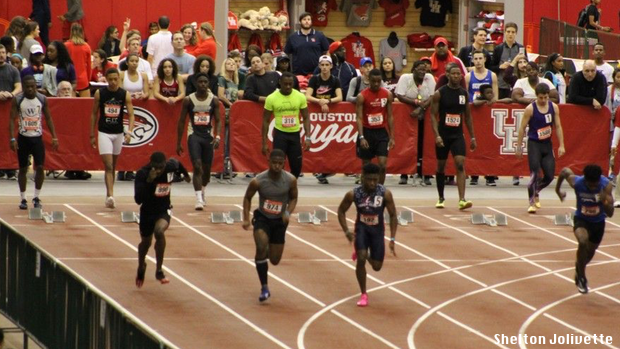 Edward Sumler, Arlon Williams, and Arlon Williams will lead many H-town sprinters looking to defend their home turf. However, several Dallas and San Antonio spinters as well as other out of state guys will be trying to take the Carl Lewis Inv. title. Leading the charge will be guys like Keishawn Everly, Asante Fazarro, and nationally ranked hurdler Noah Green. Every race run on the straightaway at U of H is always fast. Add that with the mix of outstanding hurdlers in this field and you have a race ready to explode. 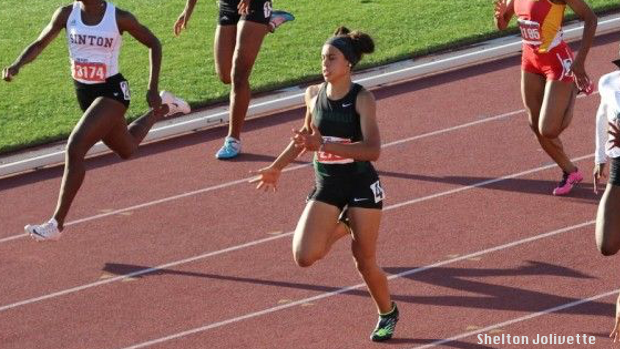 As if that isn't enough -- one of the top athletes in track and field and Oregon commit Emily Sloan will be in the field tying to win a meet in Texas for the second straight year. Last year, she won the Texas A&M 60H race. The boys hurdle race will have some of the best hurdlers in Texas and in the nation. Last week, Ahmad Young and Noah Green were both finalists at Texas A&M and will both look to come away with a win and hopefully dip under 8:00. The girls 200m will no doubt be a deep race, there are 44 heats full of competitors looking to give their all in the the one lap event. The finals will be blazing fast. Zakharia Fret from Miami Killian comes in with one of the top seed times. Tianna Randle from Humble Summer Creek is another top timer. On the boys side, Edward Sumler ran his way to the UIL 6A state meet last year in the 200m and Nathaniel McRae was a UIL 6A state finalist in the 400m dash last season. Arlon Williams is one of the top sprinters in the nation and could pose a threat. 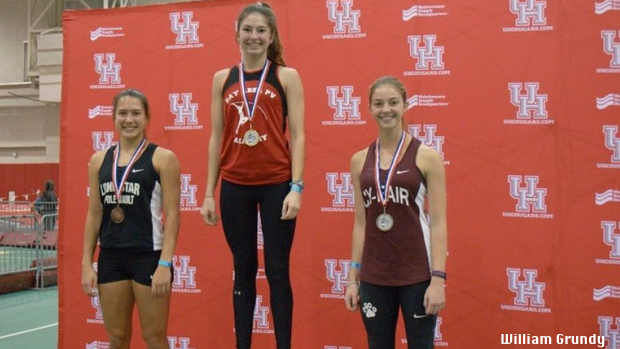 The girls 800m features two of the South Austin Steel teammates that set a meet record at last week's Texas A&M meet. Natalia Saenz and Kinga Parrish will take their first shot of the season in the open. Riley McGrath, is a junior from San Antonio FEAST Home School. She is a 800m/1600m specialist. The boys 800m will feature some big time competitors. Several of the guys in the last two heats will be state meet guys who have either competed in XC or track. The indoor 800m could be a tricky race to compete in and the guys on the list will make it a very competitive race. Spectators must enter through the front door of the Athletics/Alumni Center. Admission is $8 for adults, $5 for children (Ages 3-17). Children under 2 are free, but must sit in the lap of a parent or guardian and may not occupy a seat or obstruct the sight lines of other guests. Admission for Faculty/Staff and H Association members is $3, as well as tickets for groups of 10+. Spectator seating is limited and available on a first come first serve basis. Spectator re-entry is allowed but will be limited to the facility's maximum capacity. Spectators may not bring outside food into the facility. OFFICE HOURS: The ticket office will open 90 minutes prior to the first event and will remain open until the end of the 200-meter events. PARKING: Bus parking at ERP, Spectator parking in 16D, 16G, and 16E on weekdays. On weekends 16D, 16G, 16B, and 16E will be open. WARM-UP AREA: Athletes should warm up outside (either on the track or the grass field). In the event of inclement weather, athletes will be permitted to warm-up inside the field house at the discretion of meet management. Carl Lewis Or Arkansas, Which Meet Is Faster, Farther, Higher?